Rick Kurelo, CD, served with the Canadian Airborne Regiment (1989-1991) as well as with the Canadian Forces Reserves (Queen’s Own Rifles) in Bosnia (2001) and Afghanistan (2008-2009). As a psychological operations specialist in Afghanistan, Rick worked on a variety of missions outside the wire. He was injured by an improvised explosive device for which he received the distinguished battlefield decoration, the Sacrifice Medal. Rick was treated for PTSD following his return to Canada and is a strong advocate of effective mental health services for veterans. Rick retired from the military in 2012. 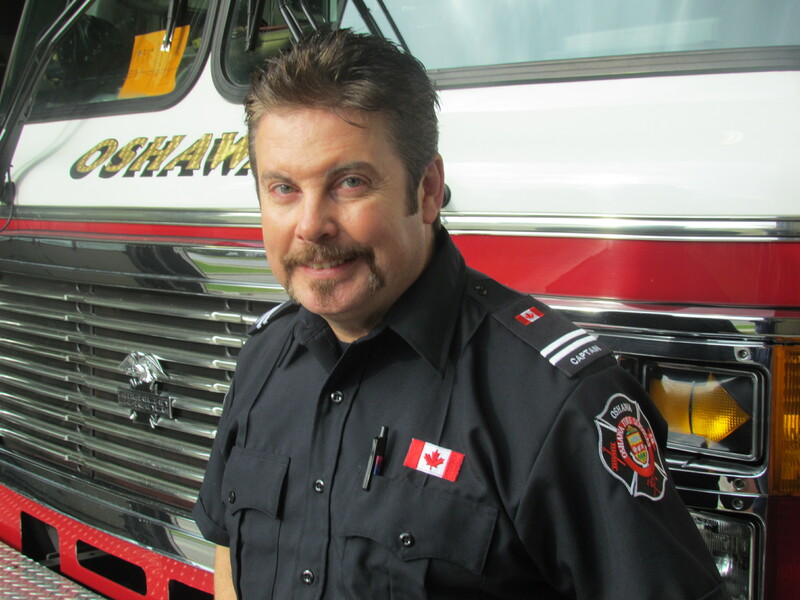 Rick is a Captain with Oshawa Fire Services and is also a consultant in fire risk management with Harex Inc.
After years of writing and recounting his many stories, Rick was encouraged to put them together in a book. So he did in this memoir, Firefight. Photo: Rick Kurelo, Captain, Oshawa Fire Services, October 2013. Dearest Rick: I just had a great chat with your brother Ron at Tims. I hope we can get together soon and I will always cherish our profound debates through the years. I can’t wait to read your book. Dean Sirizzotti. I have had pleasure and privilege of meeting Rick. I am anxiously awaiting release of his book. Great example of what it means to be CANADIAN. Hey Dean. Thanks very much!! Will let you know when it’s available – should be in the next few weeks. Hi again Dean. Just to let you know that the book is available at FrisenPress.com as well as Amazon, ChaptersIndigo, Barnes & Noble and iTunes. Cheers, Rick.